On their way home. Construcion workers are contracted for the day or the month. 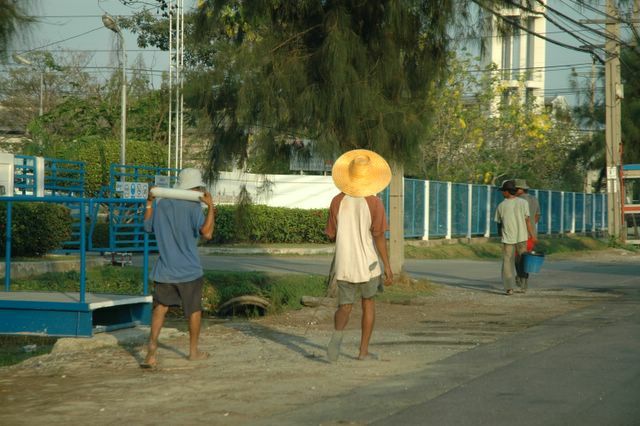 Minimum salary in 2005 is about 170 Baht per day.